Africa, renowned for its prolific wildlife, unspoilt wilderness areas, Kilimanjaro, Victoria Falls and the mighty Sahara desert, offers the best white water rafting rivers and expeditions in the world .Here you can find the longest river in the world, The Nile, that flows for 6695 km, a Mecca for kayaking, canoeing and rafting trips. 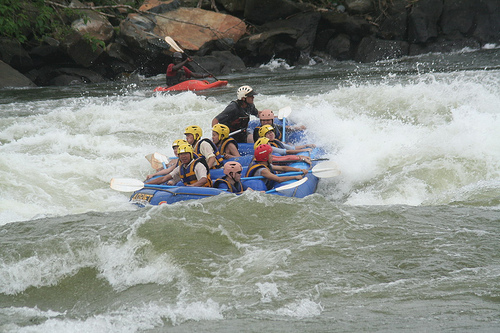 White Nile Adventures has something for everyone, whether you are interested in a family getaway, corporate teambuilding or extreme adventure for the white water aficionado’s, White Nile Adventures has it all. We hope we can give you a once in a lifetime experience!